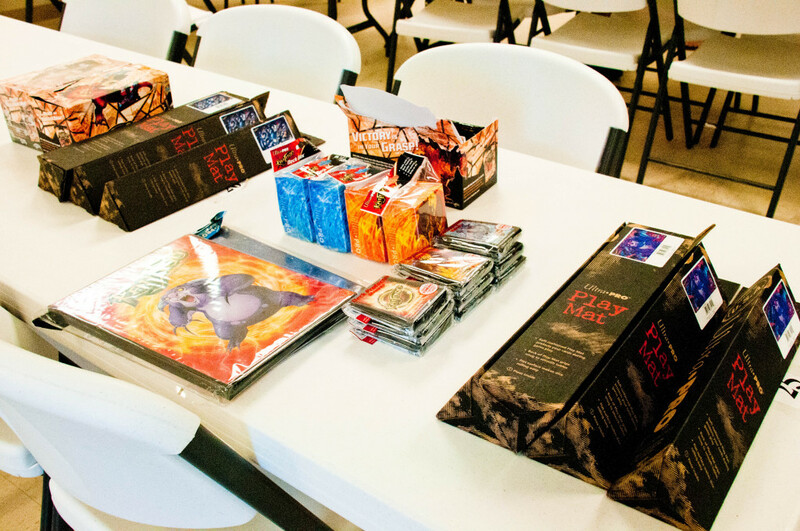 Cardboard Carnage was truly excited to have our very first guest host, Dominic G., offer to teach the trading card game, Kaijudo to gamers at our last Tabletop University event!!! 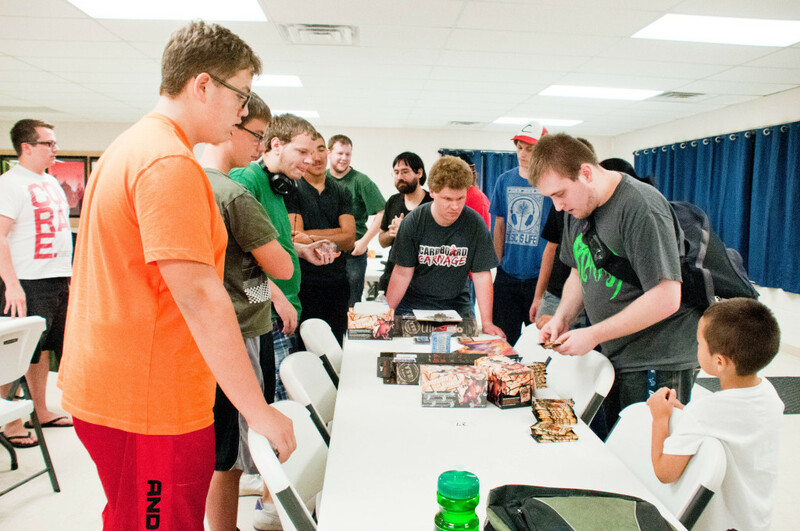 Dominic came prepared to teach and run a free tournament that night. The turnout was beyond AMAZING! And, Dominic handled it like a pro! 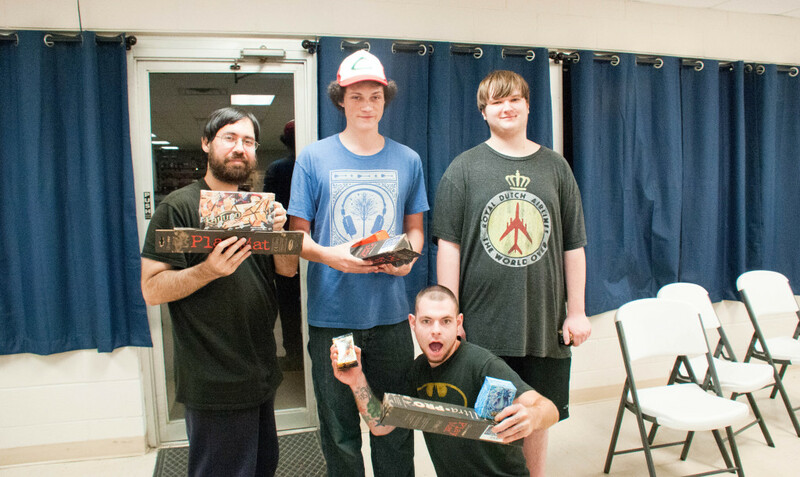 The good news: a good-sized group of gamers joined together and battled it out for cool prizes. AND they had a lot of fun! 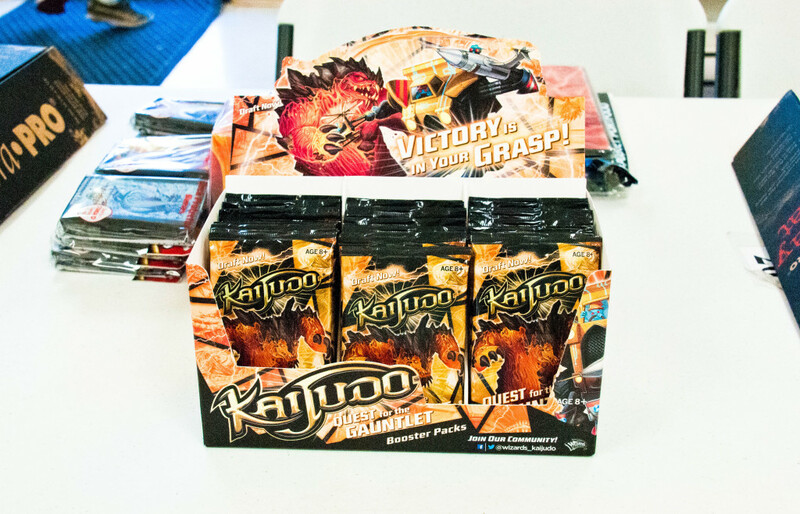 The bad news: we all read the disappointing announcement (on the day of the event…) that Kaijudo cards are no longer going to be printed… I think it still remains to be seen if a digital version of the game will be released for online play, to hopefully appease some of the fans. Even with the bad news, Dominic put on a smiley face. The show must go on. Explaining the Rules to a FULL house! 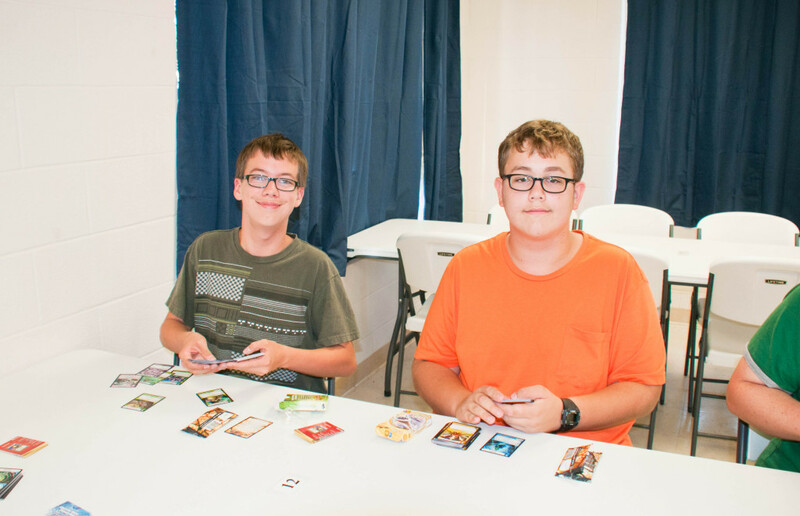 Cardboard Carnage team member, Ben and his best friend, Nathan love playing Kaijudo. 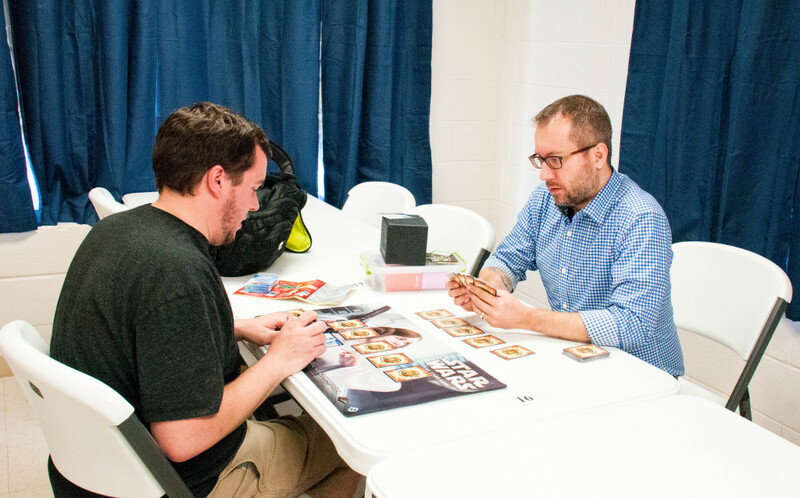 Dominic showed Ben how to play one night at Tabletop University, and Ben has been hooked ever since then. 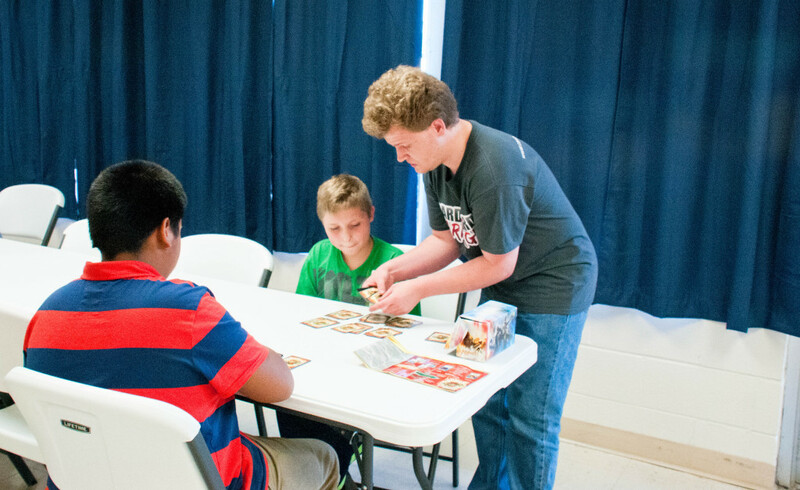 He has been teaching his friends how to play at school. Top 4 Winners of the Night! CONGRATS to the Top 8, to the Top 4 (who graciously allowed me to photograph them! 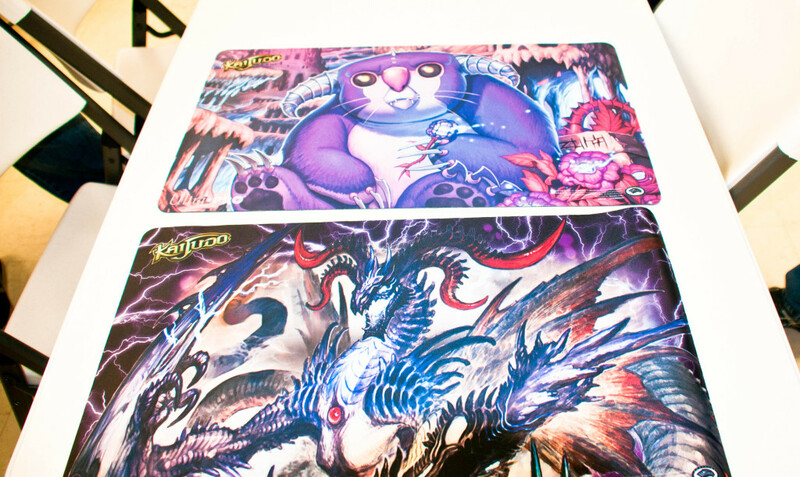 ), and to ALL who participated in the tournament! It was a stupendous evening! A HUGE THANK YOU to Dominic G. for hosting, teaching, and managing the event!!! 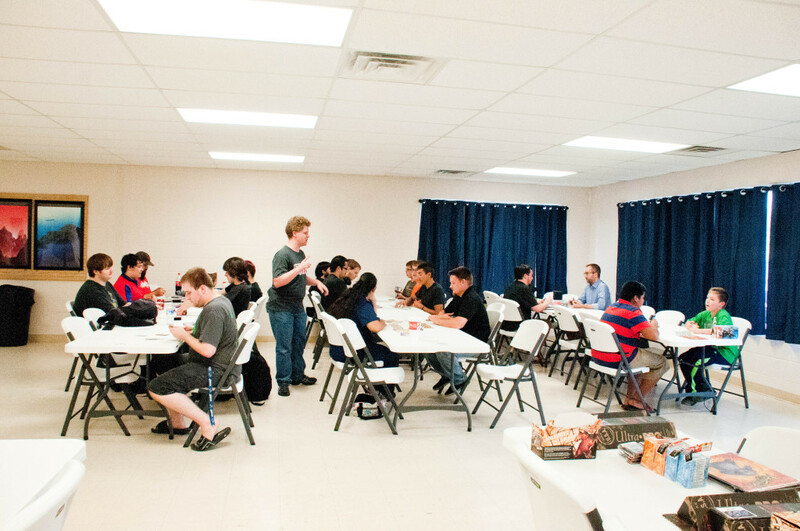 And, lots of THANKS to Mana Vault for sponsoring the event and providing a welcoming place for us to play games!